Are you wanting to get a staggered or concave look on your 2010-2014 Mustang? 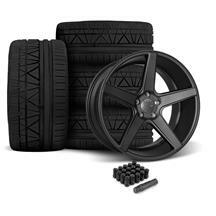 Add a set of KMC 685 District wheels to your S197! 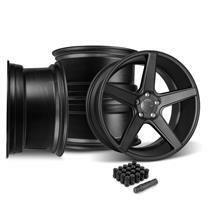 These concave wheels add a custom, aggressive look to your Stang while helping fill up your wheel gap. 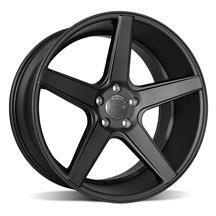 Featuring a 5 spoke design, these rims are offered in stain black and black with machined face to look great on any color Mustang. 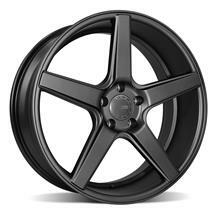 Choose from 20x8.5" and 20x10.5" wheels to get the perfect look on your car. Pick up a set in a wheel and tire kit to get 2 20x8.5" wheels, 2 20x10.5" wheels, and 4 Nitto 555R tires mounted and balanced! Pick up these wheels at LMR.com today! These wheels fit: 2010, 2011, 2012, 2013 and 2014 Mustangs.